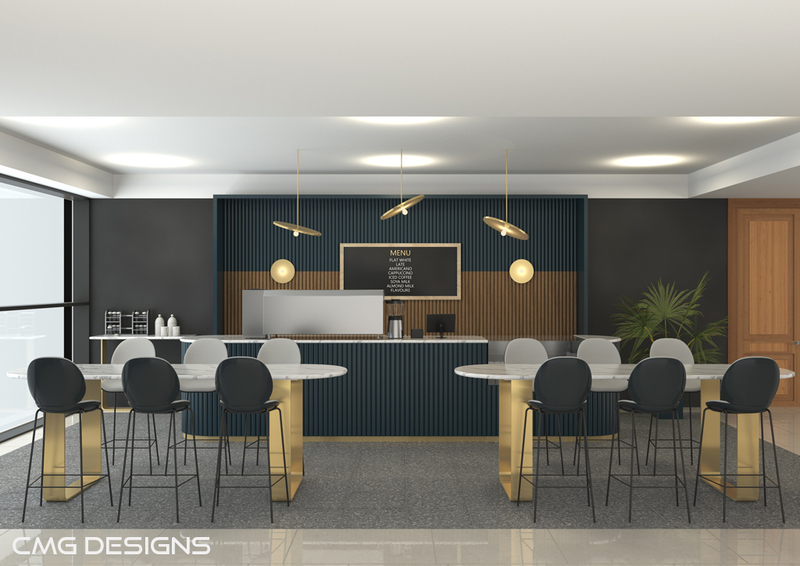 We were commissioned by Coffee2Go to produce a 3d image for their proposed new cafe in Dublin. The deadline was extremely tight on this project but we were able to get it finished just in time. Most of the objects and furniture had to be modelled in 3d from scratch to make sure the 3d image was as close to reality as possible. Our client sent us an Autocad drawing of the layout as well several images of the furniture and materials which was a great help and limited the amount of revisions needed at the end. As always we used Cinema 4D to create the scene and Vray to render the image. 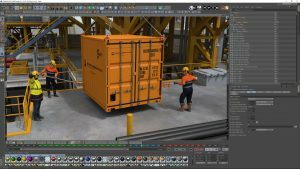 CMG Designs was commissioned by Offshore Handling Systems Ltd to create a detailed 3d animation showing how their innovative handling tools can help prevent hand and finger injuries associated with moving and positioning cargo/drilling supplies on and off shore. 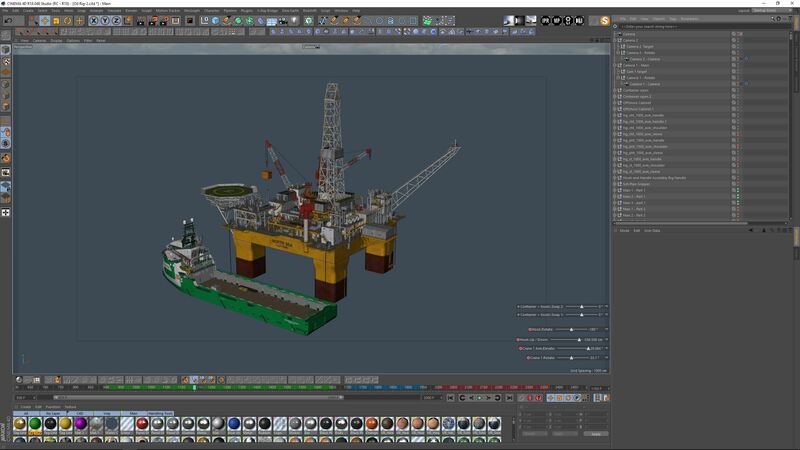 The scene for this particular animation is an oil rig situated in the North Sea. 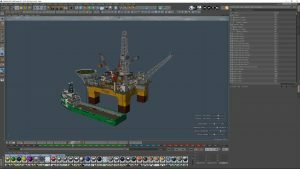 The animation starts off by showing the crane lifting a 10ft container from the supply ship and positioning it onto the oil rig. 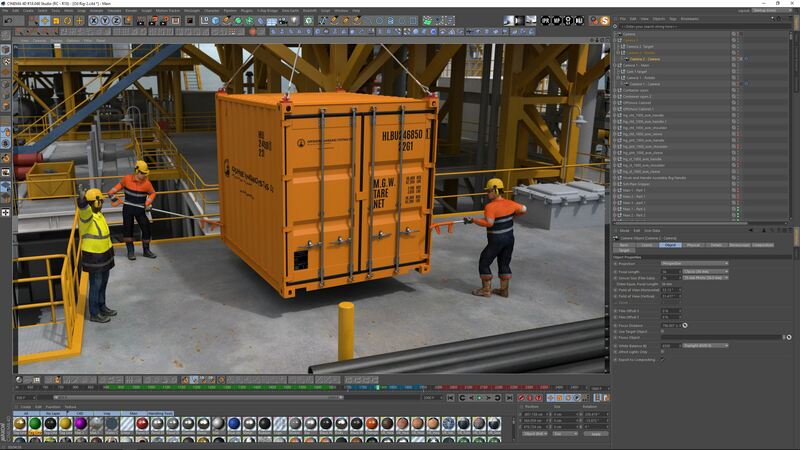 This is where the offshore handling tools come into play. The first product used is a tag line which is attached to the bottom of the container. 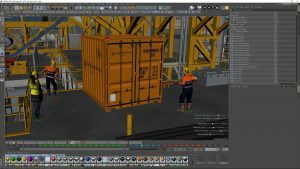 When the container is a few feet from the ground an operator is able to grab onto the tag line and guild the container. 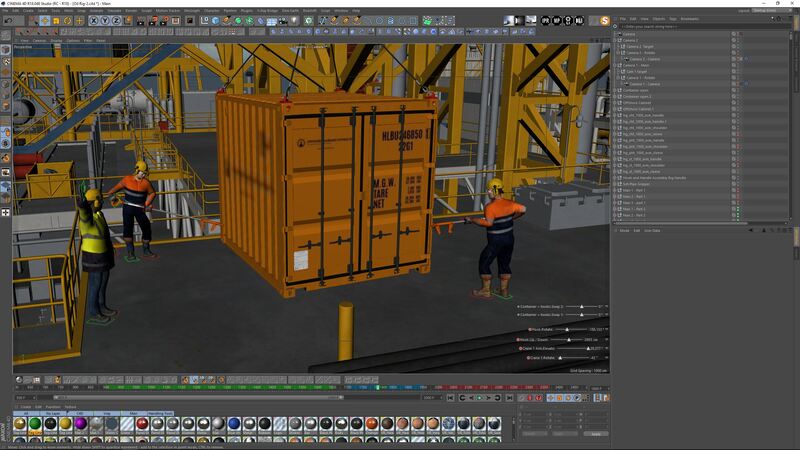 Once the container is closer to the ground, the operators are able to guild it into position using the one of many handling tools. The handling tool creates a buffer between the cargo and the operator which helps to limit the risk of serious injury. We still have a bit more work ahead of us but we’re really looking forward to seeing the end result. We’ll be sure to post the final animation here when it’s done. Web design by Zazsi Web Design, Cork. Part of Zazsi Digital Media Agency Cork.